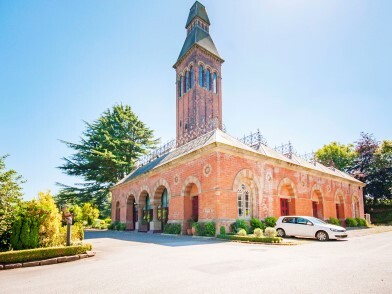 Lakeside, a former wedding venue, restaurant and leisure destination situated north of Nottingham has been out on the market through specialist business property adviser, Christie & Co. for £1.25m. Constructed in 1873, the Grade II listed Victorian pumping station is set in 5.88 acres with gardens and an ornamental lake. The property has previously enjoyed a strong reputation as a wedding venue. The property comprises a wedding suite, brasserie, gym and spa facilities and other ancillary accommodation. A five-bedroom Grade II listed cottage, which has been recently refurbished, is included in the sale. Gavin Webb, Senior Business Agent at Christie & Co is handling the sale and comments, “Lakeside is a landmark building in Nottingham, which enjoyed a strong local reputation until it closed in late 2017.